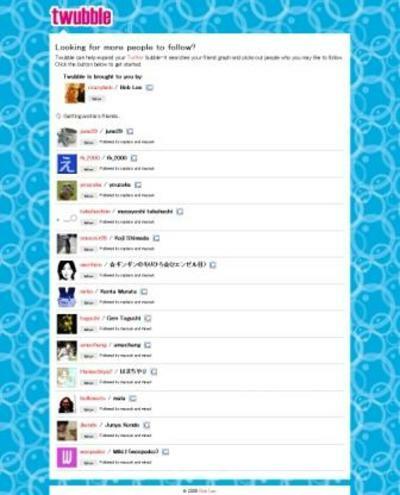 POLAR BEAR BLOG: Twitter、誰を follow すればいい？を教えてくれる"Twubble"
Twubble can help expand your Twitter bubble—it searches your friend graph and picks out people who you may like to follow. Click the button below to get started. Twubble goes through 30 of your follows who've updated most recently, and suggests a maximum of 100 suggestions, ranking them based on the number of people you like who follow them.